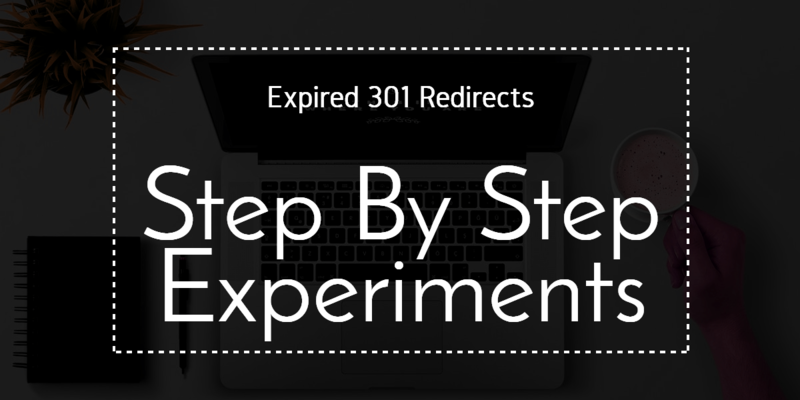 Ok many people have watched the Expired 301 redirects course already, if not you can access it for free here. The last time I looked we have over 500 people subscribed to that course and probably a lot more since we gave it as a bonus for a recent launch on warriorplus for the WordPress RSS Xtreme plugin. We have multiple domains that have been rebuilt in wordpress and content added with the SEO metrics back to a level close to what they were before. We have built a tool to do the redirects in one click while maintaining complete control to edit and change or remove the redirect any time we choose without needing any tech assistance. This tool is not yet on the market for sale as we are currently adding more features for rebuilding sites in WordPress from the archive.org versions of your expired domains. So now is testing time and we have run some basic tests already and the results are good. These tests will be done with the existing expired domains I have rebuilt with some rebuilt 4 or 5 months ago. We have a mixture of strategies to use both from the content on these expired domains since they were rebuilt and for the 301 redirect strategies which I will go through below. Remember that what we are doing here is TESTING. I will explain what TESTS we will do below, and to see the “before and after results” you need to watch part 2 of the Expired 301 redirects course. To watch the course you have to optin. These tests are based on good common sense and educated guesswork having been doing SEO for years, and having built out more High quality SEO tools and software suites than I can probably remember. Right now we have around 10 large Alpha SEO desktop suites with multiple seo tools in each and each suite is built around a specific strategy. On top of that we probably have a dozen or more SEO plugins and again built around a specific strategy, you can check out all of my SEO tools in the sidebar widget for premium SEO tools and WordPress plugins. Ok so here are the tests that we will do and some of these I have already tested and will show the results in Part 2 of the course. This has been tested and the results are positive so far, it needs to be given more time though for monitoring and traffic impact. I used this to boost SEO metrics on a site that had no trust flow or domain authority and only had ten links which came from micro sites that I have built around it. The result so far is that the site now has trust flow and citation flow of 15 and 173 links (including newspaper links) to the home page. For this strategy go very specific in the keywords you search for with url finder and if it makes sense then use product names. This is a quick and powerful way to boost rankings for your existing content. For example in the video you will see me searching for and finding expired domains with “longtailpro” or “longtail” in the domain name for the purpose of pushing my LongTail Pro Review blog post from page 2 to page 1 without having to do any long or complicated SEO campaigns. For this strategy we can go for expired domains with a larger backlink profile with many more links. The reason we can do this is because buffer sites like YouTube (which i prefer to use for this strategy) can absorb these backlinks without causing any issues for your money sites. It also allows you to have complete control and able to change or remove the links from your YouTube description at any time if you start to see a negative effect in rankings. It's best to redirect to a YouTube video or web 2.0 content that has just ONE link which goes to your money site or blog post. There are two ways to do this strategy. First would be to get high quality and lower volume backlinks similar to what I described above for redirecting to a home page of a new site. This strategy is using 2 Expired 301 Redirects together. The second redirect to the same blog post that you linked to from the YouTube video. This way you can use expired domain with high volume links to the YouTube video safely and an expired domain with fewer but higher quality backlinks direct to the blog post or content too. Ok so we know we can use these strategies effectively, but how many redirects can we safely do for any domain and when should we use them? The answer is in my opinion, that we cannot use too many 301 redirects to one domain. Personally I would not do more than three and that many would only be if I was redirecting to an established site with high volume backlinks. With this in mind I would only use expired 301 redirects to help rank content that is targeting high traffic keywords. However we do have ways around this that can be done safely via buffer sites like YouTube and if you wanted to go completely blackhat then there are other ways, but I won’t go into them here as I don't want to encourage some of the things that can be done. Use your imagination and i’m sure you can think of ways this is done without too much effort. The other way we are testing this is via “Micro Sites” and PBN sites. Results from these will not be available until or unless I do a part 3 of this course and that would be made available only to customers of the new expired 301 redirection tool or for members of the Local Biz Alpha group project. In fact some well known, so called “white hats” are using these today, and while others that say that it doesn't work, well they have either not tested it or they are just re-hashing what they think is correct.Why would they do that?I dunno, maybe they like sucking up to google or maybe they want to make themselves look clean and responsible SEO’s or whatever.